In recent years, researchers have been trying to determine why allergies in children seem to be on the rise. Some experts have theorized that consumers in industrialized nations live in cleaner environments and are not exposed to enough bacteria to build up a resistance. Now, a new study suggests that phthalates in plastic products could be the culprit. Researchers at the Helmholtz Centre for Environmental Research (UFZ) in Leipzig, Germany say that children are more likely to develop allergic asthma if their mothers were exposed to phthalates during pregnancy and breastfeeding. “It is a well-known fact that phthalates affect our hormone system and can thereby have an adverse effect on our metabolism or fertility. But that’s not the end of it. The results of our current study demonstrate that phthalates also interfere with the immune system and can significantly increase the risk of developing allergies,” said UFZ environmental immunologist Dr. Tobias Polte. For those who don’t know, phthalates are used by companies as plasticizers during the manufacturing process to make products more flexible. However, these chemicals can enter our bodies through skin contact, foodstuffs, and respiration and can disrupt several internal processes. The UFZ researchers conducted a mother-child cohort study in mouse models to see what effect phthalate exposure had on mice offspring. The models were exposed to certain levels of phthalates during their pregnancy and lactation periods, and then the offspring were analyzed to see if the chemicals had any effect on their allergic responses. While the findings showed that the adult mice were not affected by the phthalate exposure, their offspring had a “clear tendency” to develop allergic asthma, a trait that was even passed down to third generation mice. “The time factor is therefore decisive: if the organism is exposed to phthalates during the early stages of development, this may have effects on the risk of illness for the two subsequent generations. The prenatal development process is thus clearly altered by phthalate exposure,” said Polte. Deeper investigation by Polte and his team found that phthalates affected developing mice at the genetic level. An analysis revealed that so-called “methyl groups” had become attached to the DNA of developing mice that were exposed to the chemicals, which inhibited the production of certain proteins. When the researchers treated affected mice with a substance meant to break the methyl groups, the mice demonstrated fewer signs of allergic asthma. To see if the same process could be affecting human children, Polte and his colleagues consulted a cohort study and found similar genetic disturbances. "Thanks to our translational study approach - which led from humans via the mouse model and cellular culture back to humans again - we have been able to demonstrate that epigenetic modifications are apparently responsible for the fact that children of mothers who had a high exposure to phthalates during pregnancy and breastfeeding have an increased risk of developing allergic asthma," says Polte. 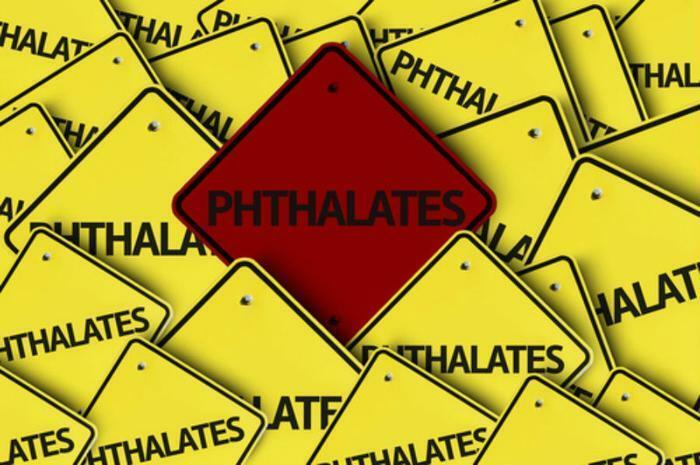 Going forward, the researchers intend to investigate why phthalates lead to gene methylation and how this leads to the development of allergies. The full study has been published in the Journal of Allergy and Clinical Immunology.